An invitation to join us for our third specially-discounted 4-night break with HF Holidays at Nether Grange, Alnmouth. Historic Country House Hotel accommodation. Comfortable lounges, bar, drying room, gardens. Full board – with excellent food. Optional social activities in the evenings or just relax in the bar. 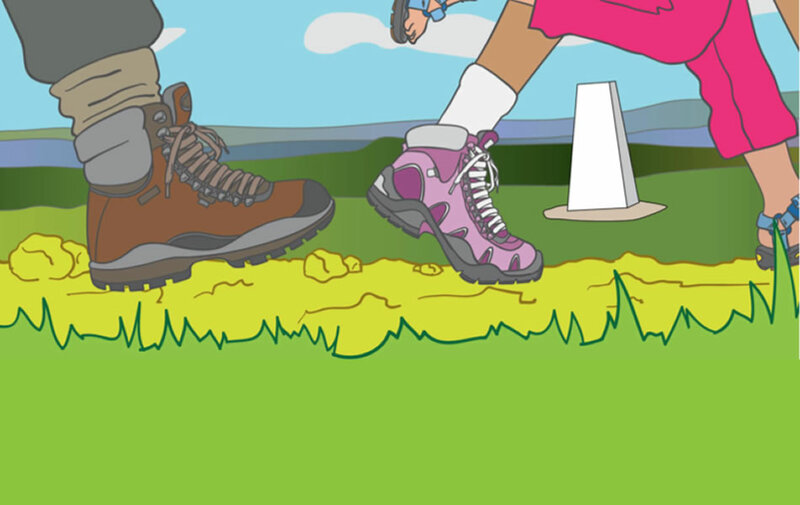 Guided Walking (3 days), including all necessary transport and choice of varied Easier and Harder walks each day led by HF Leaders, Mervyn and Chris Flecknoe £325. To reserve a place please complete the booking form below and return it to Chris Flecknoe, 16 Plantation Way, Baildon. Shipley. BD17 6JQ by 4 July 2018 along with a cheque for a deposit of £75 per person, made out to HF Holidays. Room reservations will be made on a first come first serve basis. Please contact me if you have any special needs or queries. BOOKING FOR BAILDON WALKERS ARE WELCOME / HF HOLIDAYS BREAK. Classic / Premium; Guided walking / self-guided. Cheque enclosed for (amount)……………………… Signed:………………………………………………………..